The Murugappa Group headquarters in Chennai - Dare House - is located in Parry's Corner, a landmark in the port city. The Murugappa Group headquarters in Chennai - Dare House - is located in Parry's Corner, a landmark in the port city. It's named after a Welsh merchant Thomas Parry, who set up EID Parry in 1787, a company the Murugappas acquired in 1981 from a clutch of institutional investors and successfully turned around. Today, EID Parry is a major national player in sugar, bio-pesticides and nutraceuticals. The extended Murugappa clan works out from a maze of interconnected but thoroughly modern offices in Dare House. In spite of its headquarters' name, the 117-year-old Murugappa Group is known for its caution, collective decision-making and conservativeness. Sometime last year, however, celebrations broke out at Dare House. For the first time, group company Cholamandalam Investment and Finance Company (CIFC), a non-banking financial company (NBFC) into vehicle and home equity financing, had overtaken cross-town rival Sundaram Finance in market capitalisation on the bourses. There was a history to why this achievement was being celebrated. When Arunachalam Vellayan, current Executive Chairman of Murugappa Group, took over in 2009 from his uncle M. A. Alagappan, CIFC was just in the process of ending a disastrous joint venture (JV) with DBS of Singapore. The JV had made ill-advised moves in consumer and personal finance. Uncharacteristically, it had imprudently advanced consumer and personal finance loans in the go-go years between 2005 and 2009, which had turned bad; the losses threatened to bring down the group's reputation, if not the group itself. CIFC had to fire 200 employees, write off several hundred crores in bad loans and exit its JV with DBS, with the Murugappas buying out the partner. For the family-run group, which still treats its 32,000 employees as a part of the extended family, the layoffs made the optics look worse. Shares of CIFC nosedived and were trading at Rs24 on the bourses. However, those who had the foresight to pick up its stock then would have seen their investment grow at a CAGR of 60 per cent-plus over the past eight years. CIFC shares today trade at over Rs1,000 levels. CIFC now has more than 700 branches across the country, and last year generated more than Rs1,000 crore in profit before tax with an asset book of Rs30,000 crore-plus. "In NBFC and insurance (financial services) we have been growing at a CAGR of 30 per cent. In insurance, we have a good partner in Mitsui-Sumitomo,'' says Vellayan. While CIFC was only one of the group's 28 divisions and among the 11 listed companies of the group, the successful turnaround showed that the Murugappas had not lost the touch of going against the odds and winning. 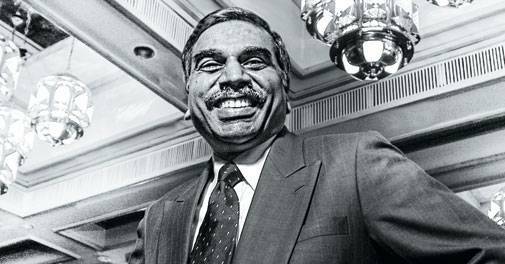 In the eight years under the chairmanship of Vellayan, Murugappa Group's revenue has increased by more than 250 per cent; in 2016/17, it recorded a turnover of Rs30,023 crore. The group has big ambitions of growing its revenue to Rs50,000 crore by 2020. It's a widely noted phenomenon that usually businesses are started, built and destroyed within three generations. The Murugappa Group has been a stellar exception to this. The Murugappas belong to the Chettiar community, which is primarily based in Tamil Nadu and Kerala and is famed for its entrepreneurship. A.M.M. Murugappa Chettiar, the founder of the group, was a financier who built a robust business in Burma first in 1900, and then spread all over South-East Asia, including the Malay Peninsula (Malaysia and Singapore), Indonesia and Sri Lanka. After anti-Indian riots broke out in the early part of 1920s in some of these places, the Murugappas lost bulk of their wealth and moved operations back to their roots. From being financiers and bankers, the group made its transition to an asset-building and manufacturing entity at the dawn of Independence by setting up Coromandel Engineering, which got into construction. In 1949, TI Cycles was set up. Even today, TI Cycles - which is now a part of Tube Investment - is the second-largest cycle seller in the country, with revenues of Rs1,359 crore. In the 1950s, the group set up Carborundum Universal, which initially manufactured abrasives and refractories and then, later on, electro-minerals. Over the years, the group kept adding companies like Shanthi Gears, Wendt India and got into metal forming and twisting business, used to manufacture industrial boilers and automotive parts. While these businesses are not directly consumer-facing and, therefore, not seen to be appealing, they are pretty profitable with relatively high entry barriers. Just for perspective, today Carborundum alone has a market capitalisation of close to a billion dollars. The engineering businesses are largely overseen by Group Vice Chairman M.M. Murugappan, and contributes nearly a quarter of the conglomerate's top line. Given the past precedent, Murugappan is expected to succeed his cousin Vellayan next year, after the current Chairman turns 65. "We have been working closely. The process will be smooth and transparent. It will happen at the right time," says Vellayan. The agri-business was built through acquisition of EID Parry and Coromandel International, originally started by the US-based Chevron Corporation. Some of the group's acquisitions in the agri-business were earliest examples of hostile takeovers in Indian corporate history. The group surprisingly got late into the financial services business, launching CIFC only in 1978. Like most corporate groups which grew in the pre-liberalisation era, Murugappa's entry into several businesses had more to do with grabbing available opportunity rather than a well-thought-out, planned and calibrated entry into sectors. Some of those examples include tea, which it continues to sell, sourced from its own Kadamane Estate, a travel services division, rubber and even floor covering and textiles. Though pretty small in revenue contribution compared to the major three divisions, they nonetheless illustrate the opportunistic entrepreneurship impulses of the group. It is still loathe to get out of some of the small legacy businesses as long as they are profitable. If the government's vision of doubling farmers income by 2022 has to become a reality, players like EID Parry and Coromandel need to play a part. EID Parry owns about 61 per cent of Coromandel, though both are independently listed on the exchanges. Group Chairman Vellayan personally oversees this part of the empire. Coromandel is a major player in fertilisers, pesticides, speciality nutrients, crop protection products and through its retail touch points called Namma Gramor/Mana Gromor reaches out to lakhs of farmers, primarily in the south. Sameer Goel, MD of Coromandel Industries, says: "We changed from being Coromandel Fertilisers to Coromandel International because the company's mandate has changed. Besides selling phosphatic fertilisers, we sell herbicides, weedicides and other crop protection mechanisms. We export to 65 countries.'' Coromandel in 2016/17 had gross sales of Rs10,304 crore and a PAT of Rs477 crore. When Vellayan took over as chairman, EID Parry was mainly a sugar company. Since then he has helped incubate and grow the bio-pesticide and nutraceuticals business within the company. EID Parry sells branded sugar under the Parrys name. With the group aiming to grow aggressively in the next three years, all the three core divisions of the group need to continue to fire. Meanwhile, the group is grappling with the challenge of bringing more professionals on board, given that some of the fifth-generation members of the family may just be investors. Raising funds for the expansion plans is the least of its worries as it has high credit rating, an annual free cash flow (after investments and dividend payouts) of close to Rs1,500 crore and a collective market capitalisation of $8 billion. 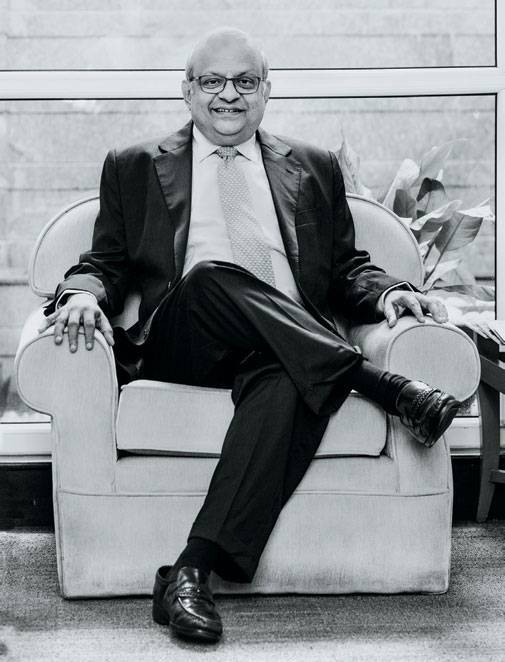 N. Srinivasan, Group CFO of the Murugappa Group, and a four-decade-old veteran of the group (who is incidentally the elder brother of Tata Sons Chairman N. Chandrasekaran), says: "Except for financial services, which by its very nature of business needs to raise money, the rest of the group has not raised equity in the last two decades or more from the market. Our expansion plans are thought through in advance and funded by internal accruals as well as borrowings.'' 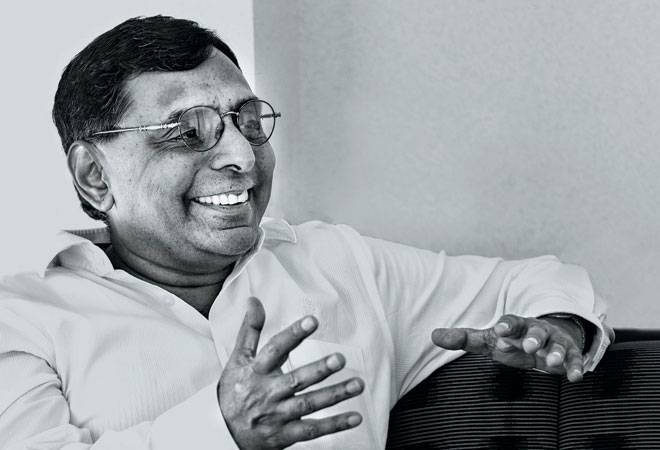 Pointing out how group companies have been consistently profitable, Srinivasan says Carbarondum Universal, for instance, has been profitable for all its 55 years of existence. "When required, group companies have helped each other. For instance, Tube Investments provided about Rs1,000 crore funding to incubate the financial services and insurance business, the market value of which today is Rs 15,000 crore." While there are about 10 members of the Murugappa fifth-generation, three of them (Arun Vellayan, Narayan Vellayan and Muthu Murugappan) are already in the business. Some of the others have chosen not to be a part and are just owners. Ramesh Menon, Director - HR of the group, says the family is clear that only qualified and interested members would be a part of the business. "The group has such a solid reputation for professionalism that we attract the best and brightest talent. In several instances, family members are mentored and even report to professionals in the business." As the group guns for growth, maintaining continuity with change would be its biggest challenge.